Are John Mayer and Demi Lovato DATING? 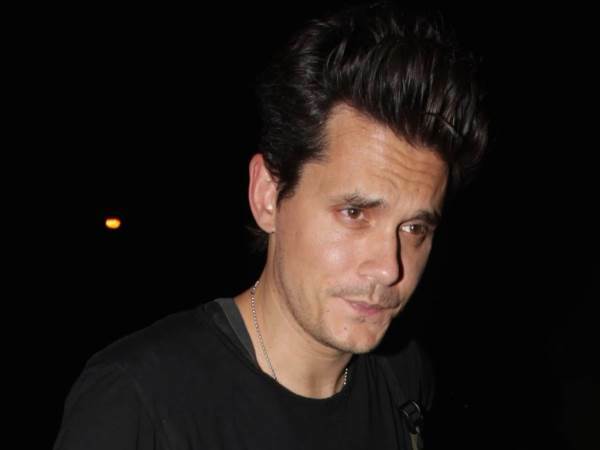 John Mayer has sparked romance rumours with another pop star after he was spotted chatting up Demi Lovato at West Hollywood club Catch L.A. on Saturday night. The two stars, who are 15 years apart, were spotted getting cosy at the venue after dining separately in the rooftop restaurant. "John had his arm around Demi," an eyewitness tells Us Weekly. "She was into it. They weren't making out or anything, but she was giggling the whole time." The couple chatted for over an hour and Mayer was overheard telling friends he thinks Demi has "one of the greatest voices." In a Twitter exchange seven years ago, Lovato told fans that Mayer was her "inspiration" and "idol." He has enjoyed romances with pop stars like Katy Perry, Taylor Swift, and Jessica Simpson, while Demi split from her long-time boyfriend Wilmer Valderrama in June, 2016. Demi recently opened up about her relationship with Valderrama, who had supported her through her previous struggles with eating disorders, substance abuse, and mental health, admitting she wanted to make a clean break from her past. The 24-year-old singer, who was linked to UFC fighter Luke Rockhold in August, 2016 told Glamour magazine, "I think it's healthy to be able to start over with someone else. Being sick was always a part of my relationship with him; I always had something wrong with me. I needed to let go of that. It was hard to depart from somebody who saw everything, but it may be nice to start fresh with somebody. Because that person I was when I was a lot younger is not who I am today."